ULC is owned by prior and current reserve officers of the US Armed Forces. Wondering if you’ll find the nicest and most affordable party bus rentals, limo rentals, or corporate car services in Southern California? Well, look for further, as you have found the right company. We are the leading limousine rental and party bus rental service in Los Angeles and Orange County. With one office located conveniently in Los Angeles, we are one of the best LA Limo rental companies and party bus rentals in the entire nation. Our stretch Hummer Limo rentals are great for weddings, birthday parties, and event graduations. As you will see for yourself after reading our customers testimonials, all of our limo rentals are fully loaded and we offer the lowest prices in the industry. Whether you need to be picked in in LA or OC, we’re always here to ensure you have a great time from the minute you step in. We are members of the Better Business Bureau, the National Limousine Association and we are certified by the CHP. ULC has never failed one of our annual safety inspections and even better, we have a perfect traffic record with our customers and their safety. Our drivers are licensed, certified and professionally trained to provide the best customer service. ULC’s party buses have been seen on a few of today’s TV shows like the Housewives of Orange County, the Beverly Hills Housewives, and Shahs of Sunset. 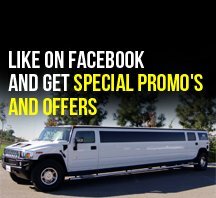 So if you are interested in a cheap limo prices or party bus rentals in Orange County you have come to the right place! We also specialize in airport transportation, concerts, weddings, bachelor parties, proms or any other special occasion, check out our entire rental fleet. We have two locations in Southern California to ensure we pick you up from your location on time and get you to your destination in the cheapest and most efficient manner possible. So if you are looking for a Hummer limo or corporate car service we have you covered. Our limo rental rates are second to none. Contact us to inquire about our prom limo, wedding limo or any of our other cheap limos available for hire. The growth of our organization can be directly attributed to our focus on excellent limo rental service. No other limo rental service can compare to ULC. Find out why thousands of brides hire our wedding limos to experience the luxury and high level of service associated with the wedding limo offerings of ULC. We offer our customers the chance to find us online on other social media websites like Yelp, Wedding Wire, and The Knot.com. Our party buses have been used for weddings, concerts, and many corporate transportation functions in Los Angeles county. Call us today to get an affordable limo price where everyone can enjoy!